Human Rights Activists News Agency (HRANA) – Araz Amani, the 12-year-old son of a renowned Azerbaijani activist who died under suspicious circumstances 10 years ago, was arrested on October 24th before his father’s commemoration service. Araz’s cousin on his father’s side, Amir Amani, was detained along with him. Araz’s father Gholamreza Amani died in a car accident along with two of his brothers on October 24, 2008. Many Iranians consider his death suspicious, going as far as speculating that it was premeditated by Iranian authorities. A source close to the Amani family told HRANA that the two cousins had gone to clean their fathers’ tombstones at the cemetery around 4 p.m. on Wednesday, October 24th when they were detained by eight plainclothes officers. After being interrogated for hours, agents told Araz to call home to let them know he would not be released until Friday, October 26th at noon, i.e. after his late father’s ceremony had ended. 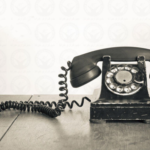 On a phone call to Araz’s mother Gounesh Amani the day before, security agents had advised her to cancel the ceremony. She refused. As planned, Araz and Amir Amani were both released on October 26th from the Intelligence Ministry’s detention center in Tabriz. 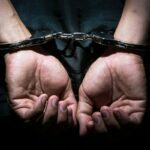 That same day, three other attendees — Sajad Afrouzian, Sadollah Sasani, and Ebrahim Ranjbar — were arrested for their participation in the ceremony. 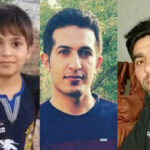 Afrouzian and Sasani were released the next day, while Ranjbar’s fate remains unknown. Tabriz is the capital of the northwestern province of Eastern Azerbaijan, which borders the Republic of Azerbaijan and is home to Iran’s Azerbaijani ethnic minority. Human Rights Activist News Agency (HRANA)- A crackdown on Azerbaijani activists continued this past week when activist Reza Zarei was taken into custody by security forces, purportedly in connection to his newfound campaign promoting native [Azerbaijani] names. Two Azerbaijani activists, Sajad Afrouzian and Sadollah Sasani, were released from a law enforcement detention center in Tabriz on Saturday, October 27th. One day prior, Afrouzian, Sasani, and Azerbaijani activist Ebrahim Ranjbar were arrested in front of Tabriz’s Maralan Cemetery after participating in a memorial service for Gholamreza Amani. As of the date of this report, no further information is available on Ranjbar’s whereabouts. Gholamreza Amani was a renowned Azerbaijani activist who died in a car accident along with his two brothers on October 23, 2008. Public suspicions around the circumstances of his death — believed by some to be “premeditated murder”– have attracted heightened security presence to his memorial services since. 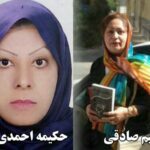 Coinciding the three aforementioned arrests was the detainment of Hakimeh Ahmadi, arrested in her home in the city of Marand, East Azerbaijan Province and transferred to an undisclosed location. No further information is currently available on her location or the charges against her. Ahmadi was previously arrested this past September and released on a bail of one billion Rials [approximately $7,000 USD]. Tabriz is located in Azerbaijan province, in Iran’s northeast. 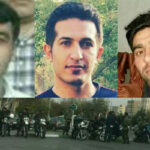 Human Rights Activists News Agency (HRANA)- Three Azerbaijani activists residing in Tabriz — Sajjad Afroozian, Ebrahim Ranjbar, and Sadollah Sasani — were arrested by security agents Friday, October 26th for participating in a memorial service for Gholamreza Amani. A fourth, Hakimeh Ahmadi, was arrested for undisclosed reasons in Marand. Gholamreza Amani was a renowned Azerbaijani activist who died in a car accident along with his two brothers on October 23, 2008. Amid public suspicions around the circumstances of his death — believed by some to be a “premeditated murder” — security forces have kept an anxious eye and grip on the gatherings held in his memory. A close source said security forces surrounded Maralan cemetery on Thursday, where Amani’s commemoration was scheduled to take place. Afroozian was among a number of activists contacted by security agents that day who threatened to detain them if they showed up. Two of the arrested memorial attendees have been pursued by authorities in the past. Sasani was among a group of Azerbaijani activists arrested and interrogated in July 2017 during a gathering at Babak Fort. He was later released on a bail of 20 million tomans (approximately $5,000 USD). In one of his multiple run-ins with security agents and interrogators, Afroozian was violently apprehended in December 2016 in the city of Malekan and released the following February on a 50 million toman bond [approximately $12,000 USD]. Coinciding the three aforementioned arrests was the detainment of Hakimeh Ahmadi, arrested at her home in the city of Marand. Security agents reportedly roughhoused both her and husband, threatening them with a close-combat weapon. They offered no explanation for her arrest. 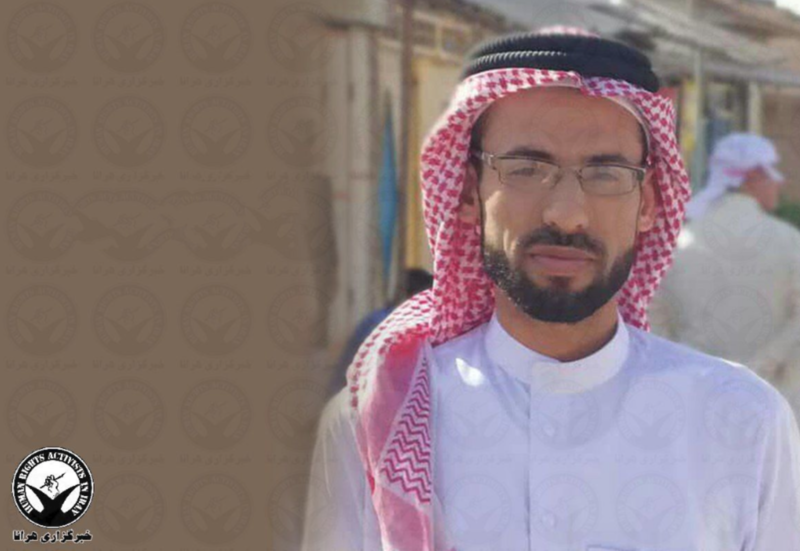 Ahmadi was previously arrested this past September and released on a 100 million toman bail [approximately $7,000 USD]. Afroozian, Ranjbar, Sasani, and Ahmadi have all been transferred to undisclosed locations. Tabriz, Marand, and Malekan are located in the northeastern province of Azerbaijan, which borders the Republic of Azerbaijan and is home to Iran’s Azerbaijani minority. 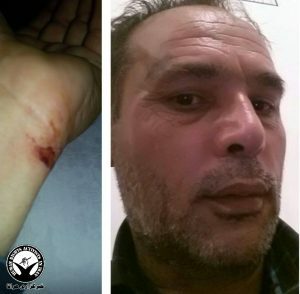 Human Rights Activists News Agency (HRANA) – Azerbaijani activist Abbas Lasani’s public dissent with the Iranian judicial system continued this week with his spurning, via open letter, of a second court subpoena that he decries as illegitimate. “I will not abide by the rule of tyranny, and thus I express my protest and rebellion against this illegal process, and against your oppressive conduct unbecoming of a court,” he wrote. Via SMS on September 24th, Lasani learned he had been convicted in absentia in Branch 2 of Tabriz Revolutionary Court. On October 10th, a writ summoned him to hear the conviction in court within the next ten days. “My verdict was delivered by a totally illegal and unlawful process that is neither reasonable nor acceptable,” Lasani wrote, explaining that constitutional article 168 stipulates that verdicts in political, press, or conscience cases must be tried in public and in the presence of the media. HRANA reported September 16th on Lasani’s refusal to respond to an initial summons via text message from the same court. “It’s impossible to ignore that the summons is illegitimate, arriving by text message with no official hard copy,” Lasani said in a public statement. Abbas Lasani was among a group of four Azerbaijani (Turk) activists residing in Ardebil arrested by Intelligence agents July 2, 2018, a few days before an annual gathering at Babak Fort, a site that has acquired symbolic importance for Azerbaijani rallies in recent years. Prior to his arrest, he had shared a video encouraging people to attend the gathering. He was released on 500 million rials [$3,500 USD] bail July 11, 2018. More than 80 Azerbaijani activists were arrested throughout Ardabil, West Azerbaijan, and East Azerbaijan provinces at the time of the Babak Fort gathering. Amnesty International issued a statement on August 11th of this year, calling the arrests of Azerbaijani activists “arbitrary” and unlawful, and demanded the immediate release of all individuals detained for their participation in Azerbaijani Turkic cultural gatherings. 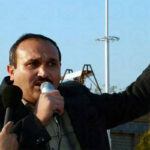 Human Rights Activist News Agency (HRANA) – Javad Ahmadi Yekanli, an Azerbaijani activist from the city of Khoy, was summoned by county security police on October 8th for reasons that have yet to be confirmed. Yekanli was arrested along with a number of Azerbaijani activists for taking part in a July 6th annual gathering at Babak Fort. He was released on a bail of 200 million rials (approximately $4750 USD). Authorities also apprehended Yekanli at a 12th-anniversary commemoration gathering at Golzaar cemetery in Naqade county for protesters who died in 2006. He was detained and beaten before being released on a billion rials (approximately $23,750 USD) bail. 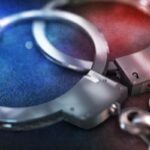 He was also arrested in December of 2016 in his father’s house; on that occasion, authorities rifled through the house, confiscating his books and computer. Agents of the Khoy Security Department regularly contact Yekanli and his family to warn them against resuming political activities. 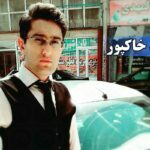 Human Rights Activists News Agency (HRANA) – Judge Mehdi Shams of Sarab Revolutionary Court in East Azerbaijan Province has overruled Sahand Ma’ali’s objection to his 10-month prison sentence ruled in absentia. Per Iranian law, defendants sentenced in absentia have the right to bypass appeals court by objecting to trial court rulings. Now that Ma’ali’s objection has been denied, he has twenty days to file his dissent as an appeal with East Azerbaijan Appeals Court. Ma’ali was initially convicted of “propaganda against the regime through the promotion of ethnic groups with the aim of inviting people to the Babak Fort gathering” after his arrest at a gathering of Azerbaijani activists on July 6th of this year. He was later released on bail. Fort Babak, a monument built during the pre-Islamic Sasanian period, is the namesake of Babak Khorramdin, who led an uprising against the Abbasid caliphate in 893. In recent years, it has become a place of symbolic gathering for Azerbaijani activists, especially during the annual commemorations in the first week of July. Ma’ali has a prior record with Iranian judicial authorities dating back to July 2nd, 2012 when security forces raided his residence and arrested him following inspections of his father’s home. They confiscated some of his belongings, including his personal computer, after forcing him to open his shop to another search and seizure. 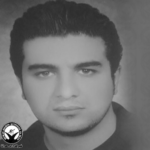 In July 2013, he was sentenced to one year in prison for “propaganda against the regime”.